In 2003, Christi Baker, founder and director of Canopy Life, visited Kenya for the first time. She spent six months living in the slums of Kibera, a part of the city of Nairobi and the largest urban slum in Africa. During this time, she fell in love with the people of Kenya. In 2007, Christi met Kurt Kandler and Lanny Donoho who had just started The 410 Bridge—a Christ-centered, community development organization in Alpharetta, Georgia. Lanny had recently had the idea to form a choir of children from Africa. The choir would tour the United States, with the purpose of igniting hearts to worship and connecting lives to serve others. The children in the choir would be joined by caring adult mentors who would guide in character development, leadership, and discipleship opportunities. For four years, Christi traveled with the choir and fell even deeper in love with the children of Kenya and their potential to change their world. She was joined during this time by Abbu and Grace Odhiambo, who served not only as music director and choir administrator, but also as parents to the children in Daraja’s choir. As lifelong Kenyan citizens, Abbu and Grace had a clear understanding of how to reach and guide the kids in the choir through cultural differences and developmental milestones. 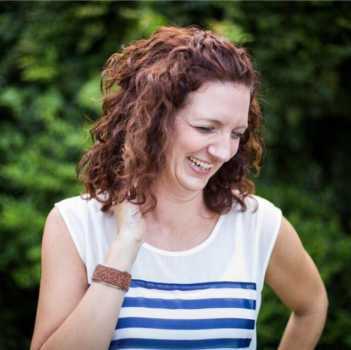 Each year, Christi would watch as the shy, uncertain students who entered the choir would transform before her eyes into confident, godly little leaders. In 2012, Abbu, Grace and Christi spent eight months researching these questions, creating a strategic plan, and gathering best practices from schools and orphanages located in Kenya and Uganda. In 2015, Canopy Life Academy opened its doors to its first class of fourth grade students. The school will continue to promote students to the next grade and bring in a new class of fourth grade students each year, until it reaches capacity with students in grades 4–12. Canopy Life continues to have a strong relationship with The 410 Bridge, and is thrilled to serve as the organization’s strategic partner for leadership development & family ministries. In addition, all students accepted into the school are from communities in Kenya where The 410 Bridge is active.